MALAYBALAY CITY (MindaNews / 28 Dec) – Among the villages in Bukidnon affected by the wrath of severe tropical storm “Vinta” were the villages of Simsimon, Brgy. Kalagangan in San Fernando town and Panganan, Kitaotao, all in Bukidnon. Bukidnon State University assistant professor Loreta Sol L. Dinlayan, who is the officer in charge of BukSU’s Bukidnon Studies Center, joined a team of volunteers and personnel from government and non-government organizations who visited the areas affected by the storm last week. Dinlayan cited that local authorities, however, did not cite any report of casualties. She reported that out of the 150 houses in Panganan, one of the 35 barangays of the town of Kitaotao, only 11 remained after the storm. “Their houses made of light materials were washed out when the water level from Salug River rose,” she said via telephone on Tuesday. 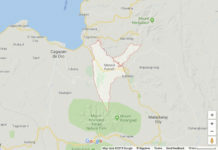 Dinlayan said that on the way from barangays Halapitan to Kalagangan in San Fernando, there were at least seven landslide sites they passed by on December 22. “Residents, including motorcycle drivers, cleared the road from dirt on their own,” she described the efforts of villagers to restore passage of roads. She cited that BukSU students living in the area provided them initial information of the situation. 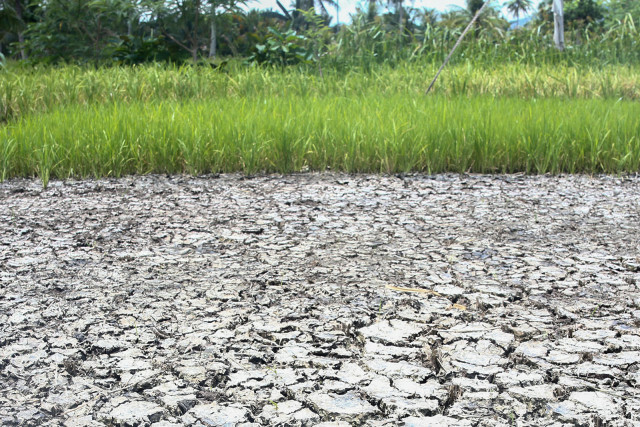 Across the Salug River, Dinlayan said residents told her that around 7.a.m on December 22, water from the river suddenly rose after hearing a loud noise. In seconds, they called their relatives and neighbors to run towards higher ground to seek refuge. In minutes, the flood washed out their houses and belongings. Dinlayan said the flood did not go higher than the level of their houses but it took a while to subside. Residents tried to retrieve some house materials and belongings. No one was reported killed in the incident but Dinlayan noted that several residents were hit by flood debris. “If it had happened at night, all of us might have perished,” one of the village’s leaders told Dinlayan’s team. The team included provincial board member Richard Macas, who accompanied the volunteers to do an ocular inspection. Some of the residents evacuated to Kalagangan proper but many remained in the area after fixing makeshift houses. Dinlayan said the village is accessible only by motorcycle for hire (habalhabal) or on horseback. Some residents used bamboo rafts via the Salug River. In Simsimon village, part of San Fernando town, only 5 of the 26 houses are still standing after the area was washed out by flood waters from Salug River and another creek nearby. Dinlayan said the flood also caught residents by surprise. They were unable to save their belongings, including their livestock, which was part of a livelihood program. “The flood took all our hogs, goats and chicken,” one of the residents told the team. The residents were lucky the flood did not take casualties, the resident added. Dinlayan said they were quick to rebuild some temporary shelter by gathering some useful debris, planks of wood, among others. “But there is much needed. The residents needed help,” she added. 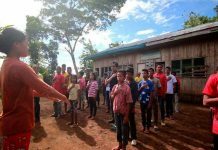 In an SMS on December 25, Dinlayan said the residents in Panganan appealed for help for their basic needs like food, clothing, cooking pots, blankets and sleeping mats, and medicines. In Simsimon, she added, the immediate needs include food, clothing, galvanized iron for roofing and nails. She said they also needed soaps and wound and headache medicines. Dinlayan said priority for clothing is children’s wear as the residents have many children. There was a reported casualty in Kalagangan proper, a five-year-old child covered by mud during landslide, and injuries in nearby villages. This reporter is yet to obtain a copy of the progress report from the Bukidnon Provincial Disaster Risk Reduction and Management Center (PDRRMC). Dinlayan said Macas has coordinated with Gov. Jose Ma. R. Zubiri Jr. for action, who in turn ordered the PDRRMC and the Provincial Social Welfare and Development Office to respond. PDRRMC coordinator Israel Johann Damasco said via text message they were in San Fernando town as of Tuesday but did not give details.